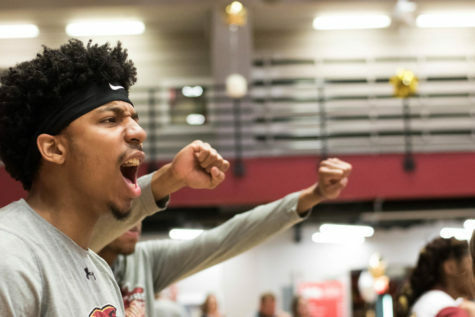 Men’s basketball team loses close game to Dalton State. Marcel Hawkins, Dalton State junior forward, blocks a dunk attempt by Nate Pierre, Loyola junior center, in the second half of their game in The Den on Jan 2, 2016. 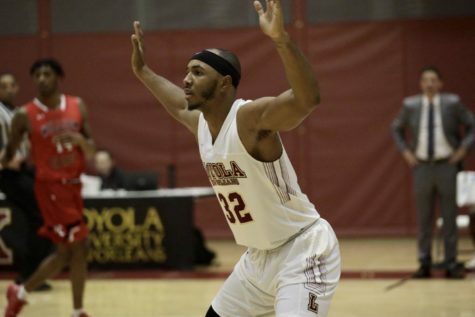 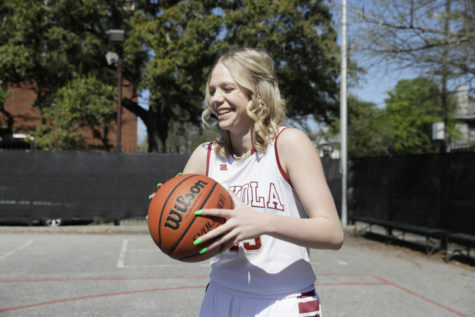 Loyola fell to SSAC rival Dalton State 70-67 despite outscoring them in the second half 37-35. 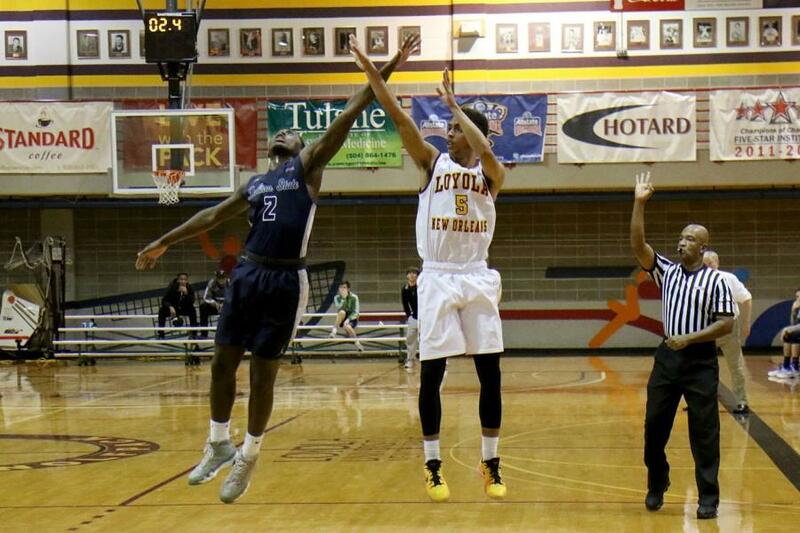 Jalen Gray, Loyola junior guard, shoots and misses a last second three-pointer against Dalton State in The Den on Jan 2, 2016. 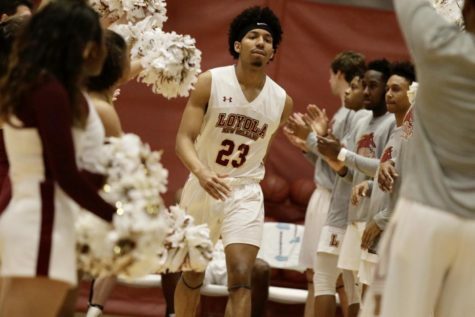 Loyola fell to SSAC rival Dalton State 70-67 despite outscoring them in the second half 37-35. 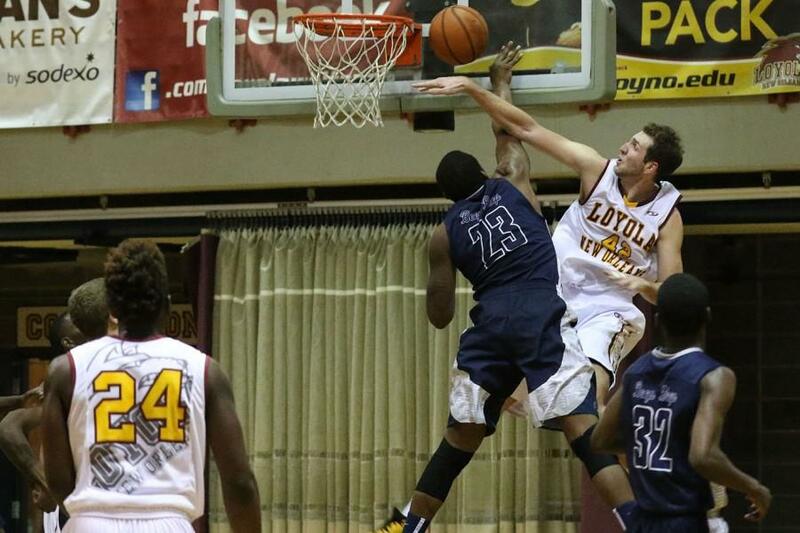 Loyola men’s basketball team fell to SSAC rival Dalton State in The Den on January 2, 2016. 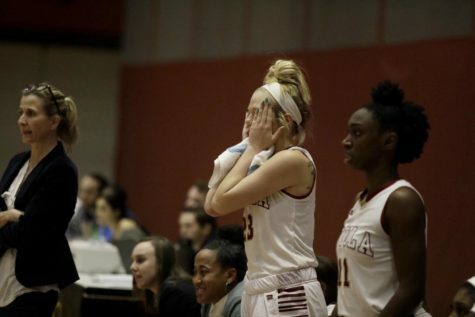 The game was very close, the final score 70-67. 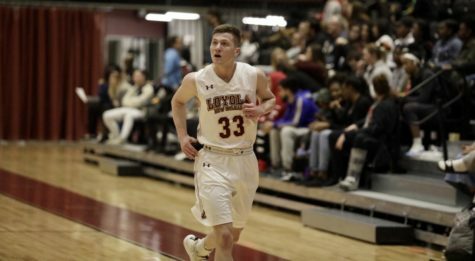 Loyola fought back from 35-30 deficit at halftime, to outscore Dalton state 37-35 in the second half. 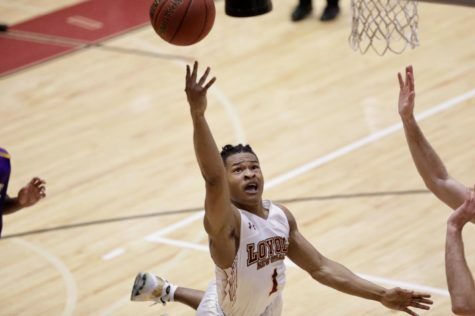 Johnny Griffin Jr. secured the game’s only double double, with 10 points and 10 rebounds. 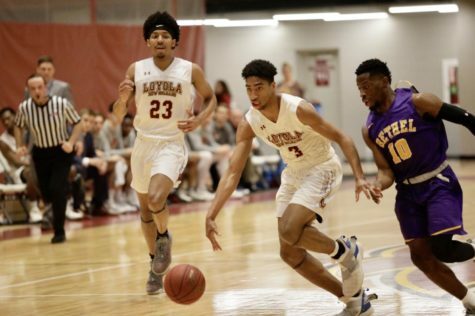 Loyola had five players with double-digit points, Jalen Gray, Johnny Griffin Jr., Tre’Von Jasmine, Nick Parker and Nate Pierre. 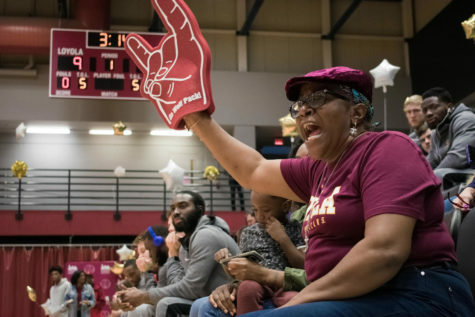 Loyola men fell to a 5-5 record overall with a 1-2 record in conference play. 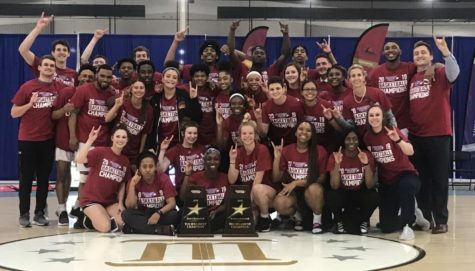 The Wolfpack take on Middle Georgia State on January 4.